Social media was abuzz when news broke recently of actress Fiona Xie having a new beau - rapper Julien Leo - mostly because she is much older than him. Xie, who is hosting the sixth season of Channel 5's home-makeover show Renovaid, is 35 years old, while Leo, son of high fashion retailer Tina Tan-Leo, is 21. Leo has an identical twin brother, Brandon. The 14-year age gap does not appear to be an issue for the couple, going by a recent lovey-dovey photo of them which he posted on Instagram. In it, he has his arms around Xie's waist andthe caption reads: "Happy Valentine's Day Baby!! To the memories we've made and to the adventures that await us!" The picture has since been deleted from his account (@jayouleeun), but that has not stopped netizens from capturing screenshots and sharing them online. When contacted, Xie declined to be interviewed. She did not confirm the relationship either. 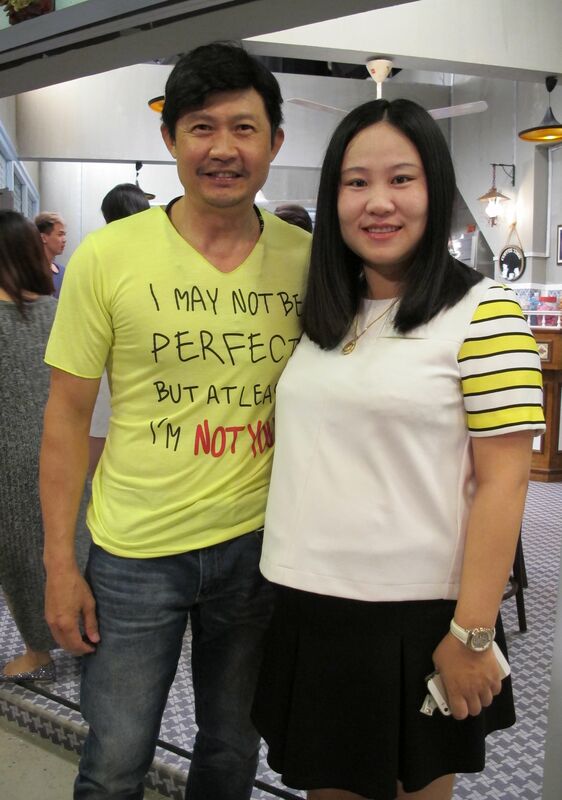 The actress, who once dated former actor Robin Leong, made her acting debut in Channel 5 drama, Growing Up (1996-2001) and has starred in Channel 8 dramas such as Home In Toa Payoh (2003) and The Champion (2004). She is also known as a bilingual and versatile host of travel and infotainment television shows. She quit show business in 2009, reportedly to move to Hong Kong to live with her then-boyfriend, an Australian-American. Last year, she returned to Singapore to act and has spoken about seeking psychiatric help following her heartbreak from the split with her previous boyfriend. Relationships where one partner is significantly younger or older are also known as May-December romances - a reference to how one person is in the spring of his or her life (May) and the other is in the winter (December). And while they are not uncommon in show business, they almost always raise eyebrows. The Sunday Times looks at some prominent May- December relationships. After playing supporting roles for three decades, veteran actor Chen experienced a second spring in recent years when he found himself in the spotlight for his performance in the award-winning film, Ilo Ilo (2013). He was nominated for a Golden Horse Award for Best Supporting Actor. His music video, Mr Unbelievable, also went viral in 2015 and spawned a movie that same year. On the personal front, the 53-year-old got a fresh start when he married his second wife, Bao, from Inner Mongolia, in 2014. The couple had a son named Genghis the following year. He has no children with his first wife, who is also from China. When contacted, Chen declined to be interviewed about his marriage. Previous news reports had quoted him as saying that the couple met on Chinese social media platform Weibo. Clearly, the Olsen twins have a thing for much older men. And their lovers are in the finance industry. 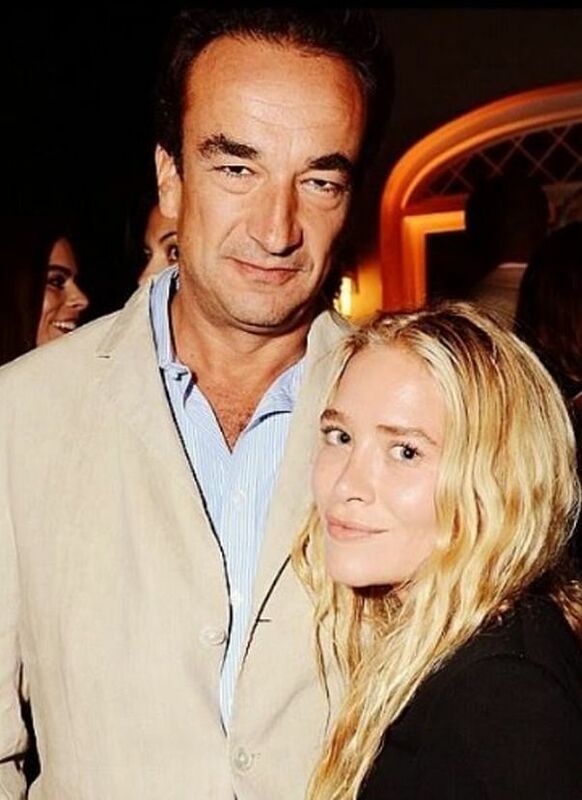 While Ashley's relationship is fairly new - she and Mr Sachs are said to have been together for about five months - Mary-Kate tied the knot with Frenchman Olivier Sarkozy two years ago. The twins started off as child actresses and continued to act into their teenage years. While Mary-Kate still acts occasionally, her sister has quit. They are now more focused on their fashion business. When they were photographed on a double date to a basketball game last year, they were reportedly oblivious to the stares from the people around them, openly snuggling, kissing and dancing with their dates. Chan, a former Miss Hong Kong, is beautiful, but the doe-eyed girl was largely unknown when she made her acting debut at TVB in 2013. That is, until news broke in 2015 that she was dating hunky veteran TVB actor Cheng. He was often considered one of the television station's most eligible bachelors, after his break-up with 41-year-old actress Charmaine Sheh in 2009. Unlike many Hong Kong celebrities, the couple have been open about their relationship and both have said many times that the age gap is not a problem. Chan told The Straits Times in an interview last year: "It's more important how well I can communicate with my significant other. People close to me know I'm serious about this relationship." When Gibson, director of Hacksaw Ridge (2016), walked the Oscar red carpet last month, accompanying him was his girlfriend Ross. She is also his baby's mummy, having given birth just weeks before the Academy Awards. Their son, Lars Gerard, is his ninth child and her first. Gibson was once married to dental nurse Robyn Denise Moore and they had seven children. They divorced in 2009 after 29 years of marriage. He then had another daughter that year with Russian pianist Oksana Grigorieva. In an interview with British tabloid The Daily Mirror in November last year, he said of Ross: "Regarding age and relationships, it's just a number... We dig each other. "It might cause a problem and one has a trepidation about these things, but it's working out great." In a dream come true for the fans of hit Chinese television drama Scarlet Heart (2011), its lead stars, Wu and Liu, started dating off-screen. When they tied the knot in Bali last year, the wedding was hailed by fans as the show's "best special episode". At the wedding, Wu, who was married to Chinese actress Ma Yashu before they split in 2009, said of Liu: "God saved the best for me." Even though the couple have 17 years between them, one can hardly tell just by looking at them. After all, Wu, considered a heart-throb since his debut in pop group Little Tigers almost three decades ago, looks like he has barely aged a day since. When pop diva Carey broke off her engagement to Australian billionaire businessman James Packer, 49, last October, she moved on almost immediately - into the arms of a much younger Tanaka. The hunky Tanaka, who is of Caucasian and Japanese heritage, has been a back-up dancer for Carey for the past decade and the two have often been spotted flirting on stage in her shows. He reportedly works for her as her creative director. This is not the first time Carey has been in a May-December romance. But when she was married to music executive Tommy Mottola in the 1990s, it was her husband who was 21 years older.